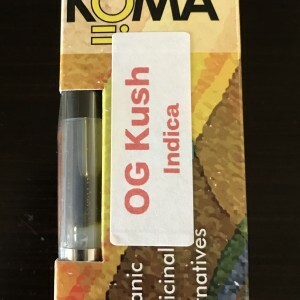 A sativa dominant mixture of Strawberry Fields and Haze, this particular recreational marijuana lives up to its name and there is many an ardent toker out there who has succumbed to this buds cough. The THC levels in Strawberry Cough are medium, around 21% which allows for the experience to be more than two dimensional whilst at the same time giving the user a semi strong high and perfect for non seasoned smokers. This beautiful strain which is covered in orange hairs and a thickly covered in a layer of trichomes, has a distinct and sweet strawberry odour which pours from the dense fruity buds. Although the average size of Strawberry Cough are smaller than most, the old adage ‘good things come in small packages’ certainly applies here. This is added to further by earthy and spicy undertones that makes this a pleasure to smoke. The draw is smooth, skunky, and with nice subtleties which creep up on the smoker in about 10 minutes. Strawberry Cough is especially good for insomnia, nausea, anxiety, as well as chronic pain and muscle spasms. Relief from anxiety and strong migraines are also attributed to this strain of marijuana. Good for growing either indoors or outdoors this strain has a flowering period 8-9 weeks. It’s yeild is moderate and anyone of an intermediate level should have no problem growing. Buy High Quality and Original Strawberry Cough Sativa Strain Weed online at Marijuana Floor.